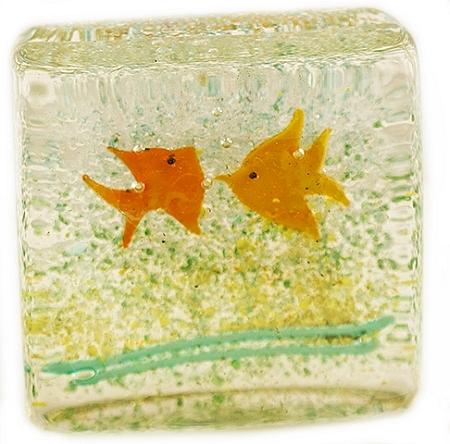 Two fish inside transparent glass in a sandwich (two slices of glass fused together). Great paperweight and conversation piece. Size is about 4 by 4 and about 2 inches thick.